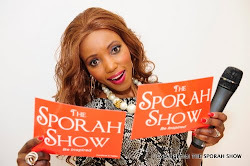 SPORAH TV: SPORAH'S ONE-ON-ONE INTERVIEW WITH ZARI A.K.A "The Boss Lady" OPENS UP ABOUT HER MARRIAGE TO IVAN. 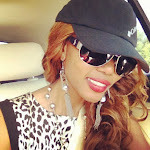 SPORAH'S ONE-ON-ONE INTERVIEW WITH ZARI A.K.A "The Boss Lady" OPENS UP ABOUT HER MARRIAGE TO IVAN. Zari (Zarinah Hassan) is a Ugandan musician. Her heritage involves many countries, her grandfather on her moms’ side is Indian and her grandmother Ugandan, her grandfather on her dads’ side is Somalian and her grandmother a Burundian. She grew up in Uganda doing karaokes and performances but now lives in South Africa where she runs cosmetics shop and a tertiary college in Pretoria while pursuing a career in music. 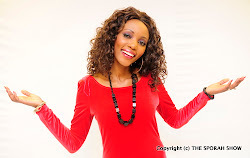 She won a Channel O Music Video Award nomination for best East African artiste in 2008. Zarinah Hassan known by her stage name as Zari is a Ugandan Musician based in South Africa where she lives with her husband Ivan and their three lovely sons Pinto, Didy and Quincy. She is an entrepreneur in South Africa where she owns a tertiary college and cosmetics shop. With her Zari All White Champagne Party slated for 21st April, we thought this would be the best time to bring you ten facts you never knew about Uganda’s top showbiz star.